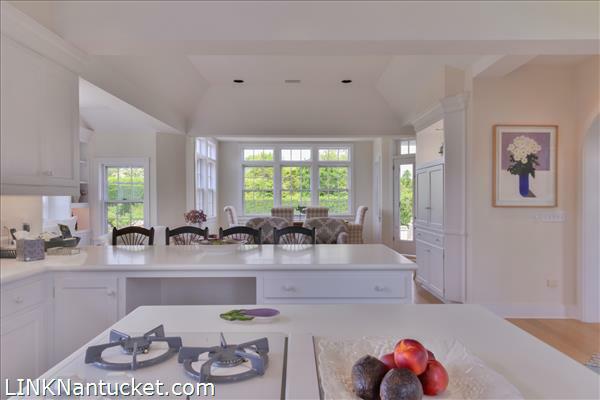 Sensational Sconset summer home with 4 bedrooms & 3.5 baths all with high ceilings, loads of natural light multiple sets of french doors leading to extensive outdoor decking, porches and beautiful grounds. 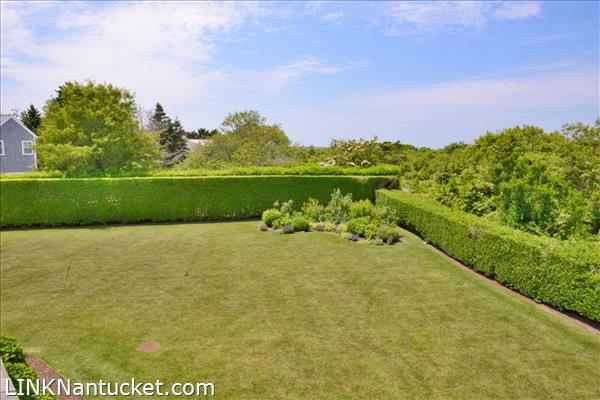 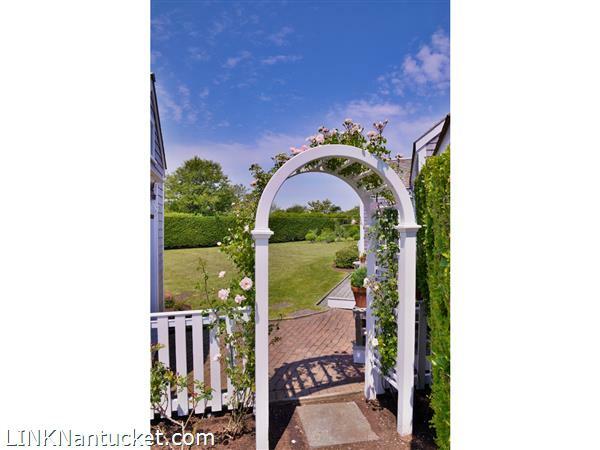 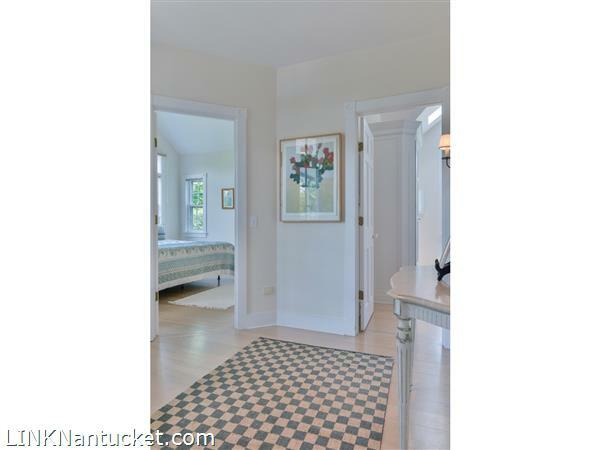 Impressive grounds lined with mature privet hedges on a professionally landscaped 1/2 acre of land with lush perennial gardens adjacent to Sconset Trust land affording added privacy and plenty of room for a pool. 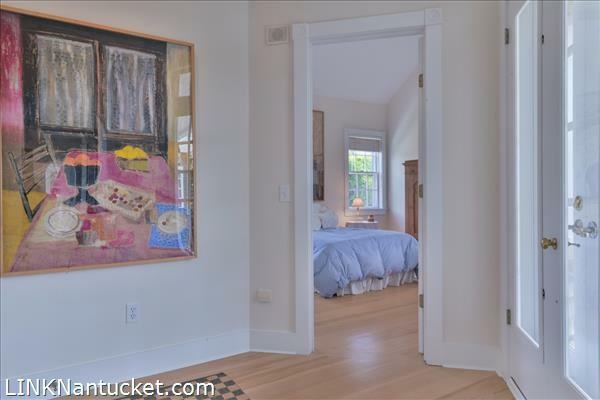 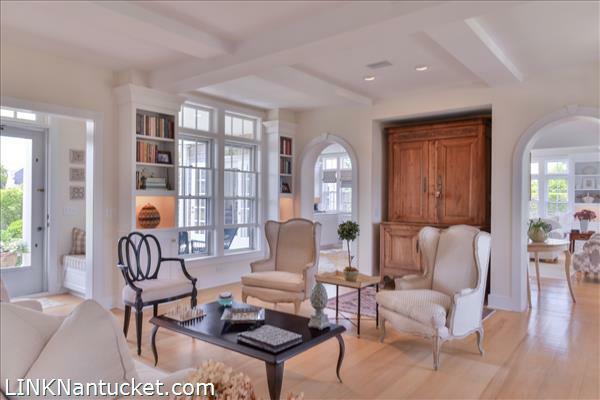 This custom home was thoughtfully designed by Gwynn Thorsen and constructed by Randy Sharp, featuring wood floors through out, transom windows above doorways and passageways, many built-ins for tidy storage and clean lines. 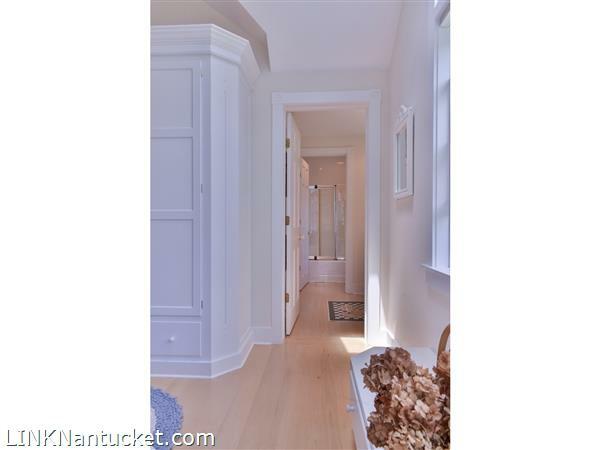 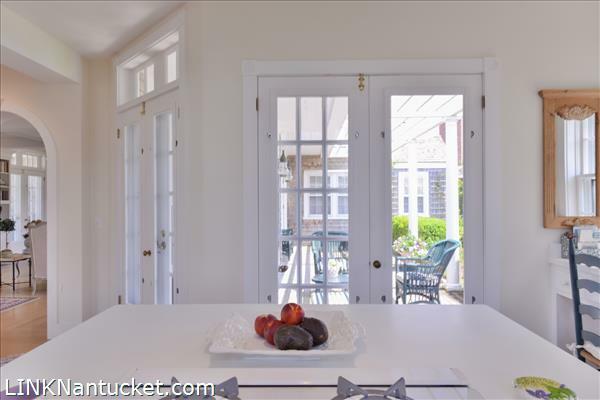 The property is ideally situated at the end of a shell lined cul-de-sac near the village center and Ocean Avenue affording easy access to dining and shopping and all that Sconset has to offer. 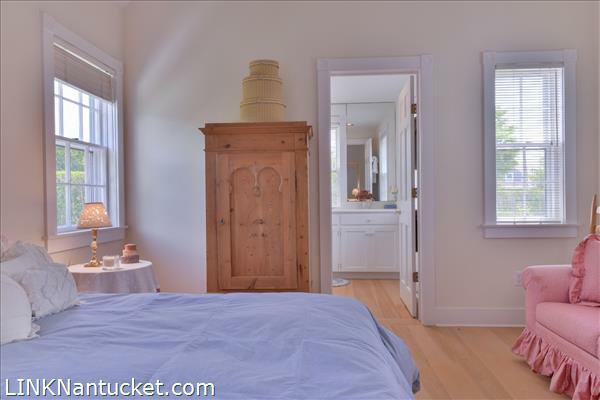 towards the rear; two bedrooms that share a “Jack & Jill” bath with double sinks and a tub and shower. 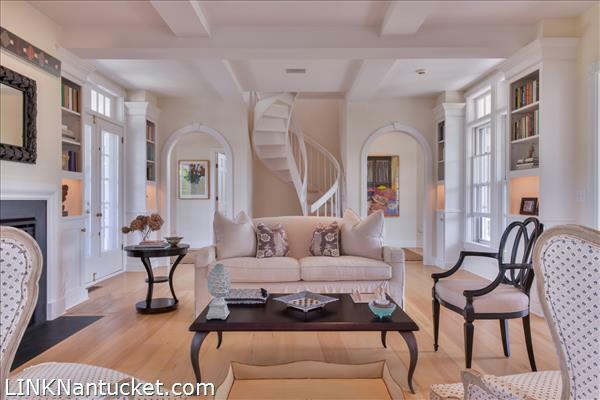 Half bath and circular stairwell to the 2nd floor. 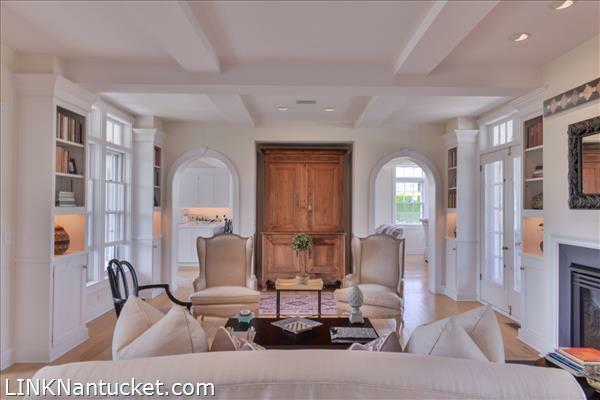 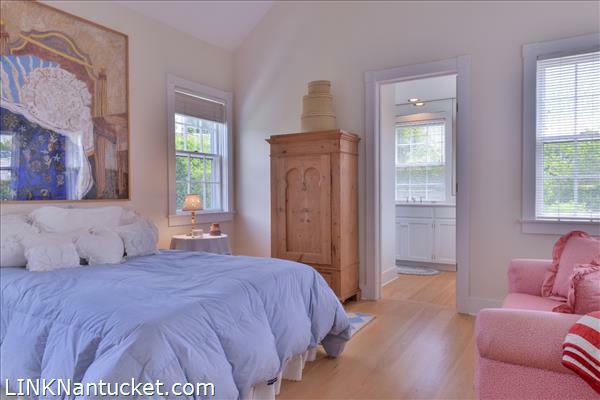 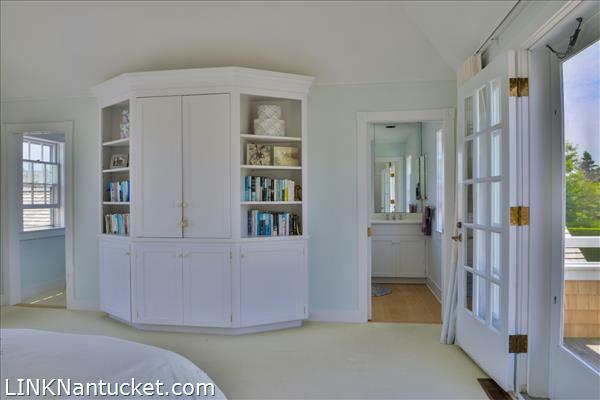 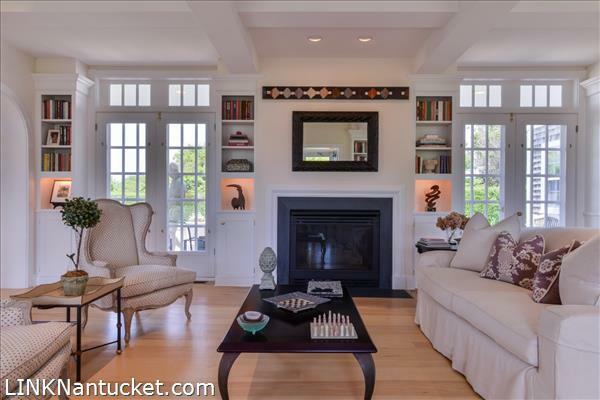 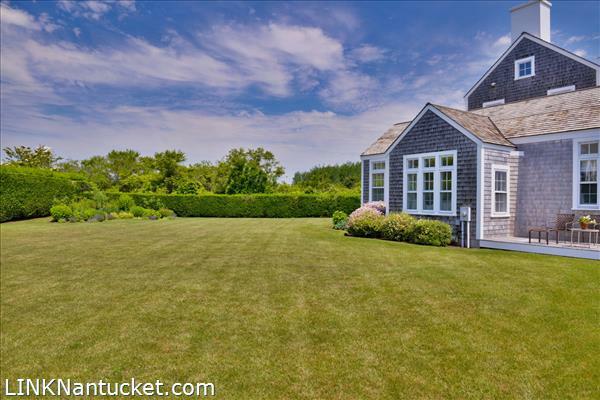 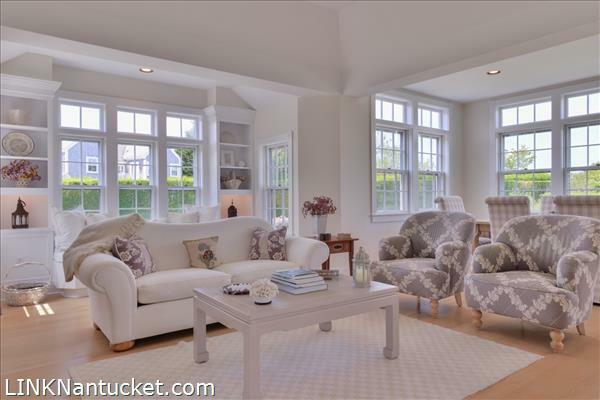 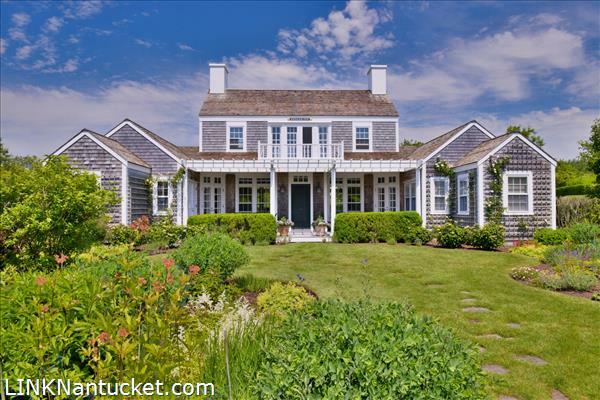 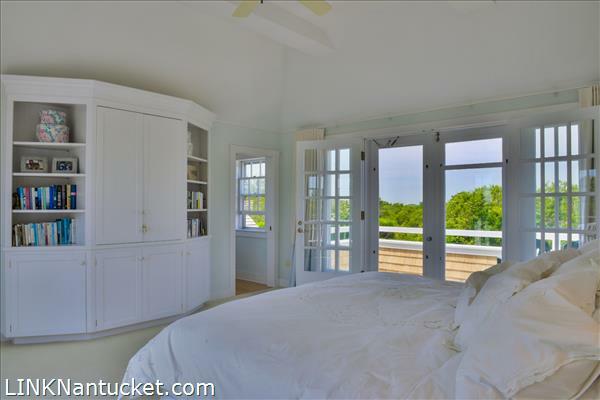 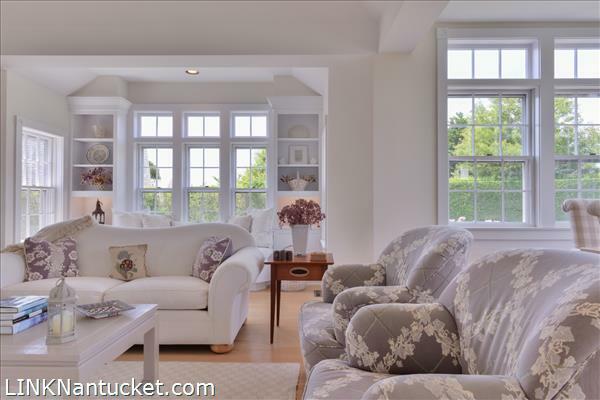 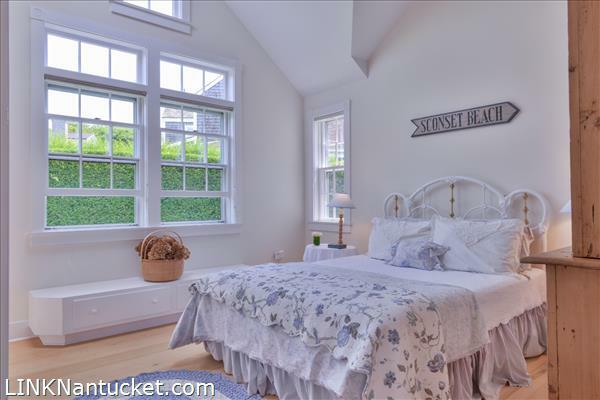 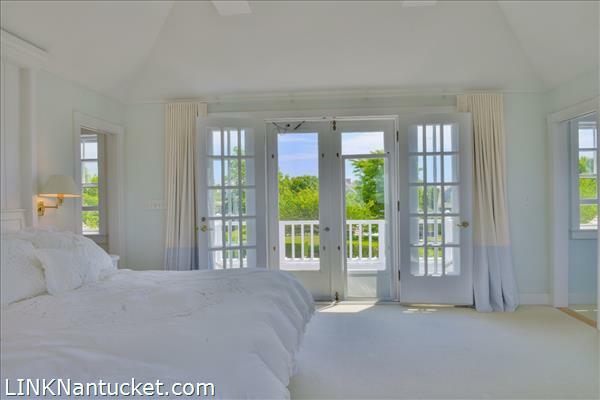 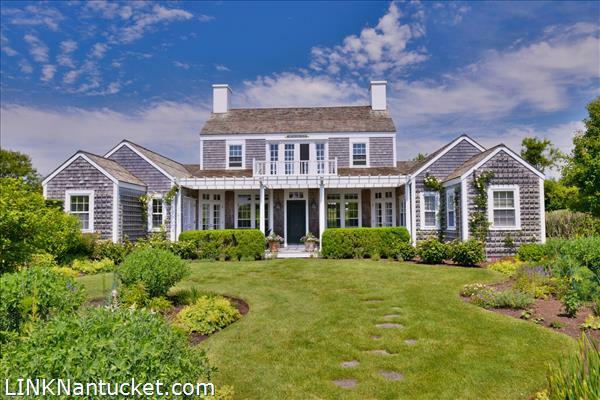 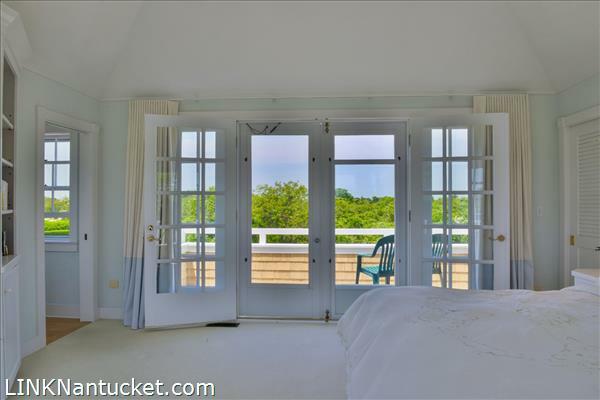 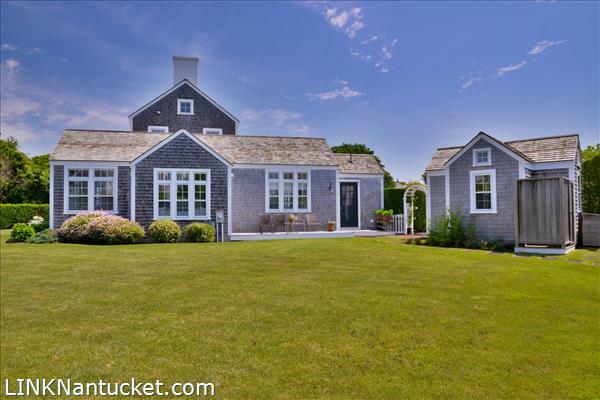 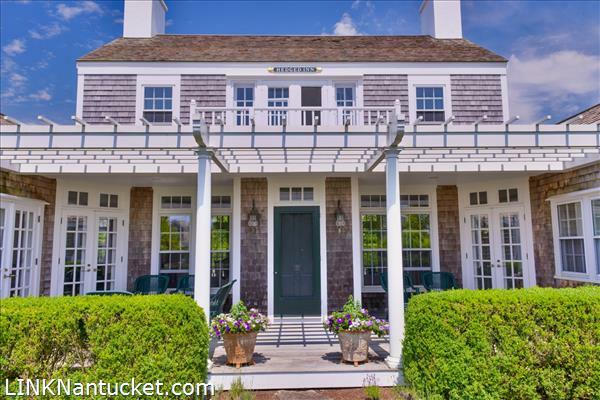 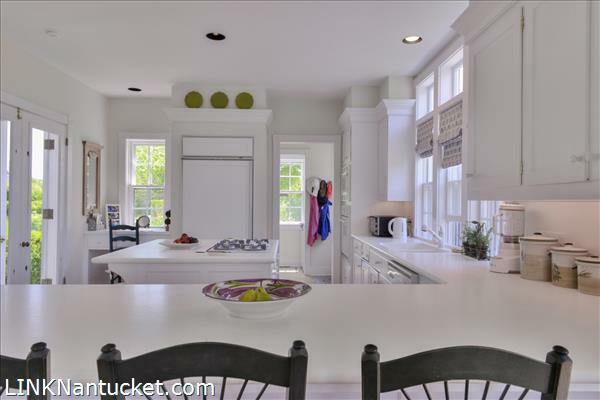 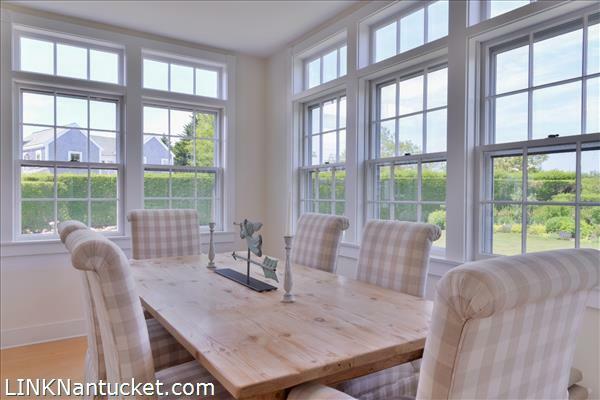 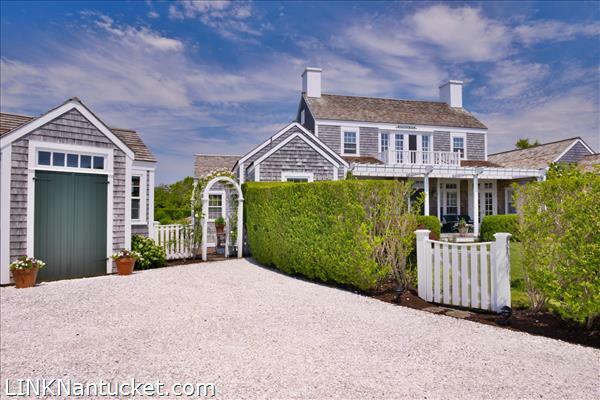 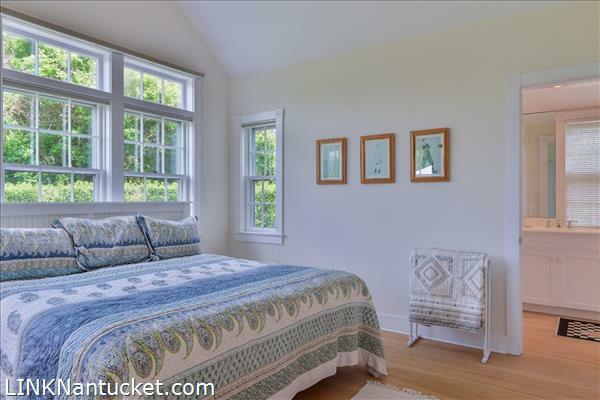 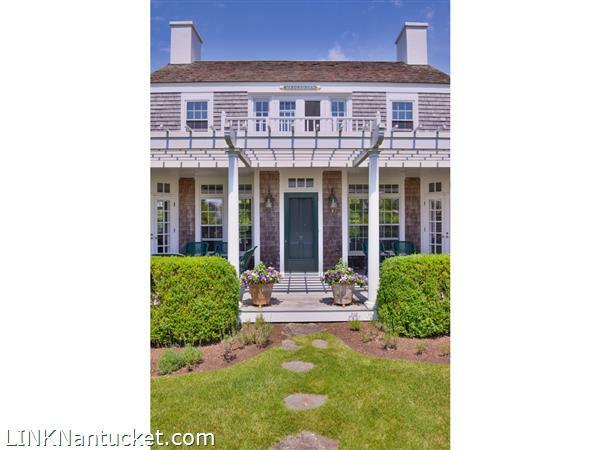 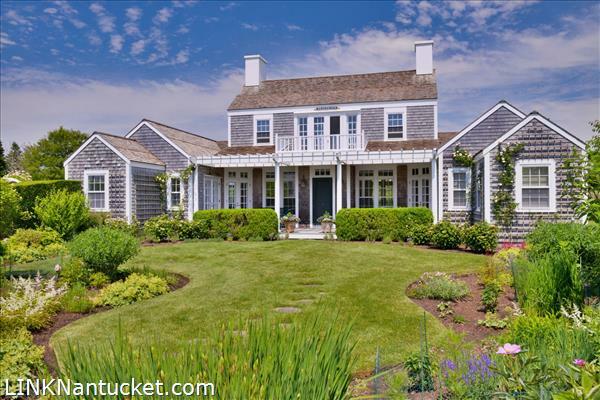 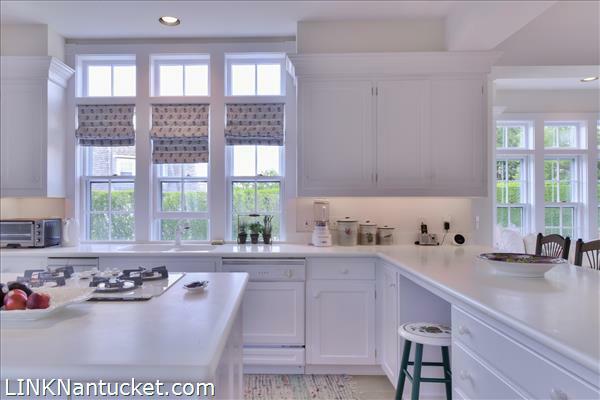 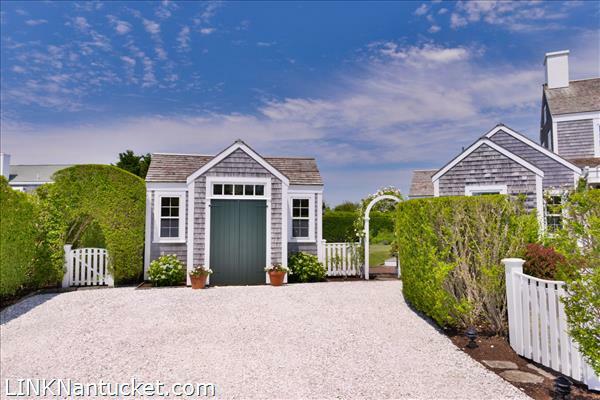 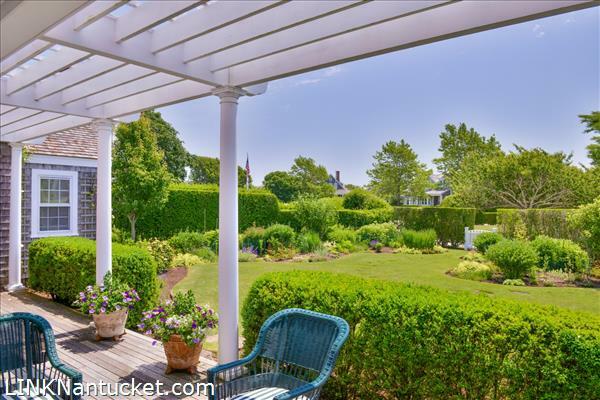 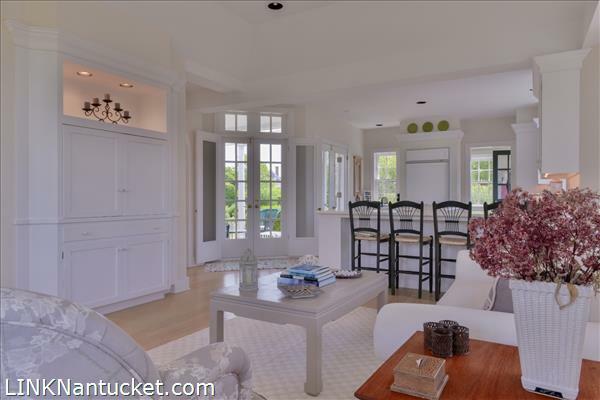 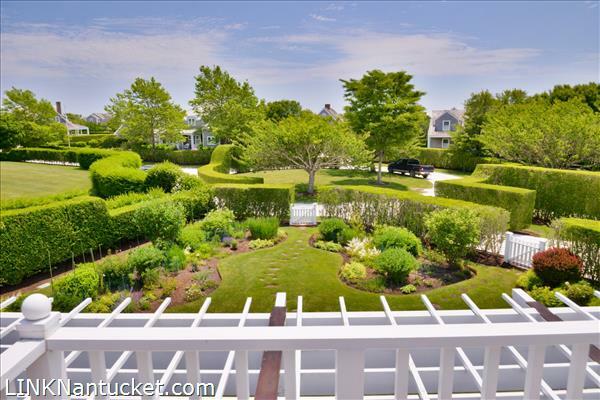 story decks overlooking gorgeous gardens and Sconsest Trust land that provides incredible sunset views.